In a speech at De La Salle University last Oct. 25, Chinese billionaire and Alibaba Founder Jack Ma shared his thoughts on the state of connectivity in the Philippines. “I tried to test the speed of Philippine internet. It's no good,” he said. The remark garnered loud cheers and applause from the crowd, a sign of agreement from the Filipino audience. But the Philippine government is now moving to change that. Perhaps tired of getting these kinds of critical comments from both its citizens and the international community, Philippine government agencies signed a landmark infrastructure deal with Facebook that will almost double the existing spectrum capacity of the country’s two telecommunications companies PLDT and Globe Telecom and boost internet speeds. 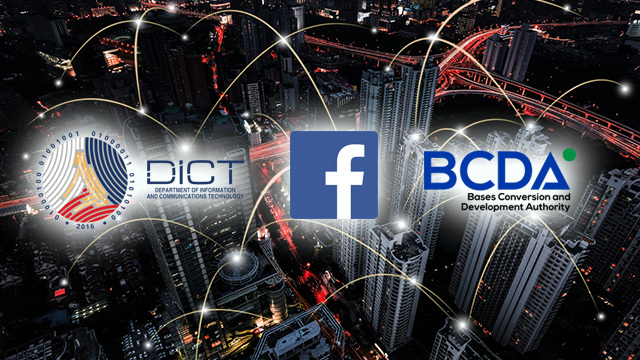 Called the Strategic Engagement and Collaboration to Undertake a Reliable and Efficient Government Internet project (SECURE GovNet), the agreement was signed by the Bases Conversion and Development Authority (BCDA), the Department of Information and Communications (DICT) and Facebook on November 15, 2017, according to a statement issued by the Presidential Communications Operations Office (PCOO). The deal is seen to “greatly improve the speed, affordability, and accessibility of broadband internet across the archipelago,” the PCOO said. The BCDA will build the facility while DICT will operate it. Facebook will be the first party to use it. A key element of the deal is a BCDA-funded project to build two cable landing stations in the east and western coast of Luzon connected by a 250-kilometer “ultra high-speed information highway” called the Luzon Bypass Infrastructure (LBI). The infrastructure will connect Luzon to a new submarine cable, funded by Facebook and other internet companies, that will add new links between Luzon and internet hubs in Asia and the US. 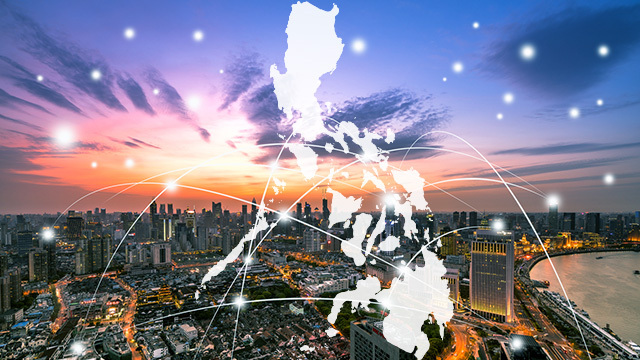 The LBI provides a land-based route for international submarine cable operators seeking alternatives to connecting to Luzon from the Luzon Strait, a body of water off northern Philippines and located between Luzon and Taiwan. Submarine cables passing through the strait have a history of multiple simultaneous cable breaks, according to DICT officials. It is the first time that the Philippine government will build cable landing stations. All of the country’s existing landing stations, which connect the country to international submarine cable networks, were built by private telecommunications companies. Under the signed agreement, Facebook will be the first party to use the LBI. “In exchange for utilizing the bypass infrastructure, Facebook will provide the Philippine Government with spectrum equivalent to at least two million megabits per second,” the statement quoted DICT Officer-in-Charge and Secretary Eliseo Rio Jr. as saying. Officials said the deal with Facebook could potentially boost internet speed in the Philippines to 100 Mbps from current average speeds of 5.5 Mbps based on independent private sector studies and surveys. The project is in line with President Rodrigo Duterte’s plans to create a national broadband plan, and will enable its other internet programs such as the Free Public Internet Access and the National Government Portal. It is also seen to reduce the costs of internet in the country.